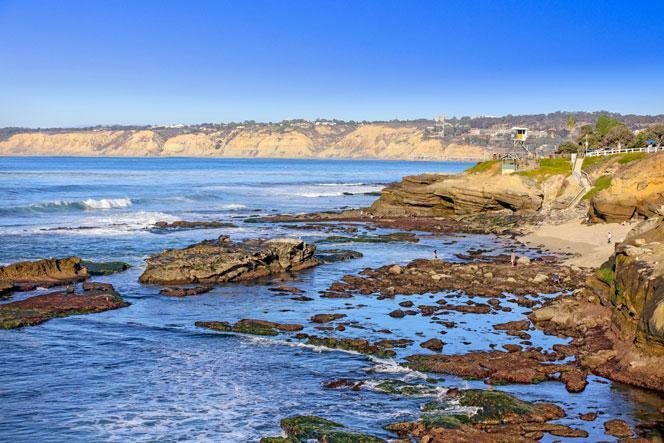 The beach community of La Jolla has no shortage of condos located all throughout the city. The highest concentration of condos are located near the beach in the Village area as well the Torrey Pines area that is close to the 5 freeway. Real Estate prices tends to be more affordable near the 5 freeway with the most expensive units located close to the beach with the option of having an ocean view. One of the newest condo developments is the Muse complex which is located just one block to the beach in the heart of the downtown Village area. Some of the most popular ocean view units can be found at 939 Coast Blvd and 464 Prospect Street. We are proud to showcase all the condos for sale here in La Jolla. This includes detailed property and school information, property square footage, bird’s eye view, aerial map, and the exact date these condos were listed. Our local team of La Jolla real estate agents are here to answer any questions you may have on any home or condo in the city of La Jolla. Please contact us at 858-200-7562 for immediate customer service.